Our “SIPARIO” interior counter-frame is the system for sliding doors inside walls. and to meet the needs to enhance and rationalise space by removing a hinged door and creating a functional access into small and large rooms. 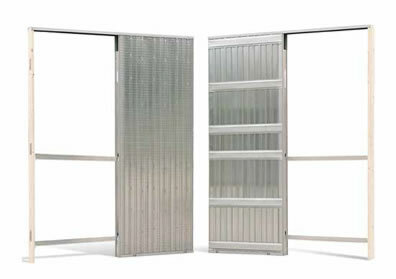 can be installed in both brand new and refurbished buildings and supports any type of door leaf, even pre-existing doors. SIPARIO is able to meet all new technical and design requirements with its range of counter-frames from 60cm to 480cm door widths, playing an important role in removing all architectural barriers for the disabled in both private and public buildings. SIPARIO counter-frames are supplied as a mounting kit in dedicated packaging. We distribute our counter-frames to authorized dealers throughout Italy and the European Union.